Shop Yamaha THR5 Desktop Guitar Combo Amplifier from AMS with 0% Interest Payment Plans and Free Shipping. 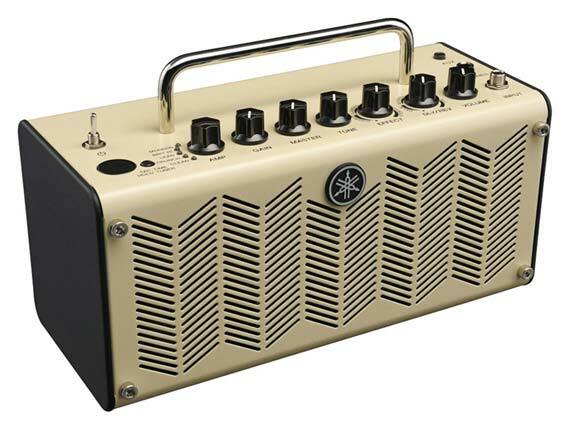 The ultimate portable guitar practice amp! 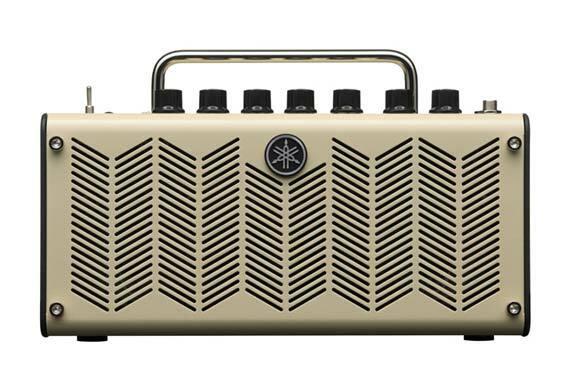 Delivering unsurpassed realism, quality, and the ultimate tone, the Yamaha THR5 Desktop Guitar Combo Amplifier produces the sound that you want and the feeling that you need. The THR5 incorporates several quality features, such as Yamaha's extended stereo technology, VCM effects processor, THR Editor and Cubase AI, Steinberg's professional music application. 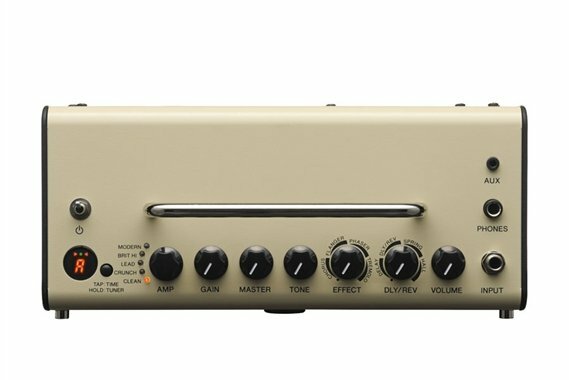 By molding these features into the TRH5's unique design, Yamaha has made it possible to capture subtleties that go beyond simple simulation to deliver a true musical performance. Most of THR5's effects feature VCM effects processors. Based on the technology used in Yamaha's professional audio mixers, VCM effects give unsurpassed realism and quality. VCM effects are capable of capturing subtleties that simple digital simulations cannot even approach, going beyond simple simulation and delivering the truly musical performance that makes classic analog gear invaluable even in today's digital production environment. 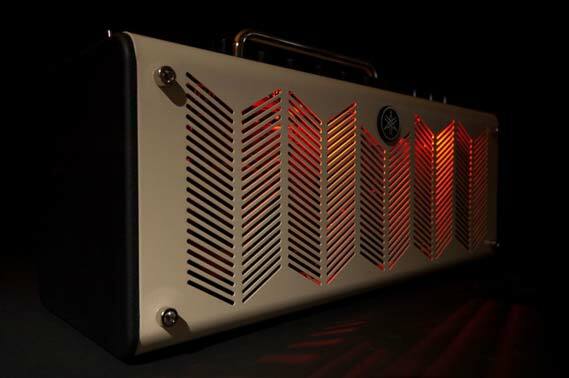 The THR5 guitar combo amp was developed with Yamaha's award-winning AV division to offer true hi-fi stereo sound and a new experience in guitar amplifiers. The exclusive, specially designed speaker enclosure is optimised to handle both guitar and stereo playback sounds making THR5 uniquely capable of giving you amazing tone for both your guitar and your track from a compact, portable amp. The THR5 incorporates Yamaha's Extended Stereo Technology to create an incredibly wide, spacious audio image. Stereo tracks and studio quality reverb take on a depth unimaginable from such a small enclosure. THR is bundled with Cubase AI, Steinberg's professional music production application that offers full-fledged recording and editing. The THR Editor, available for download offers deep editing of amp and effect parameters using a computer. Additional in-depth controls include compressor and noise gate functions. THR's design provides stereo playback from your smartphone or other device through its AUX jack or direct from your computer via the USB connection. 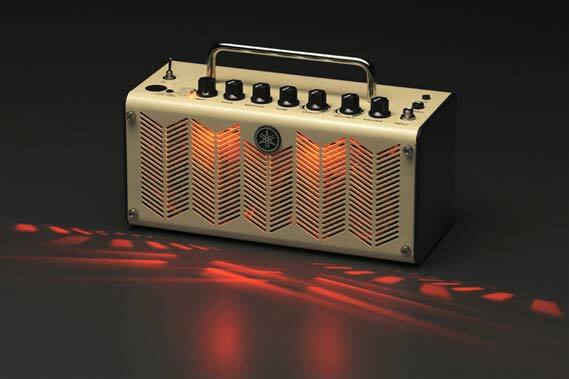 I just received this little amp today and let me tell you, it is great. I have played for about 20 years and have plenty of equipment to choose from and this is my new go to home amp. now is it going to replace my stage gear, no, but it is so much easier to hook up and go at the house at low volumes. so in short if you live in a small place or with young kids like me, this is the perfect compromise between volume and sound quality.